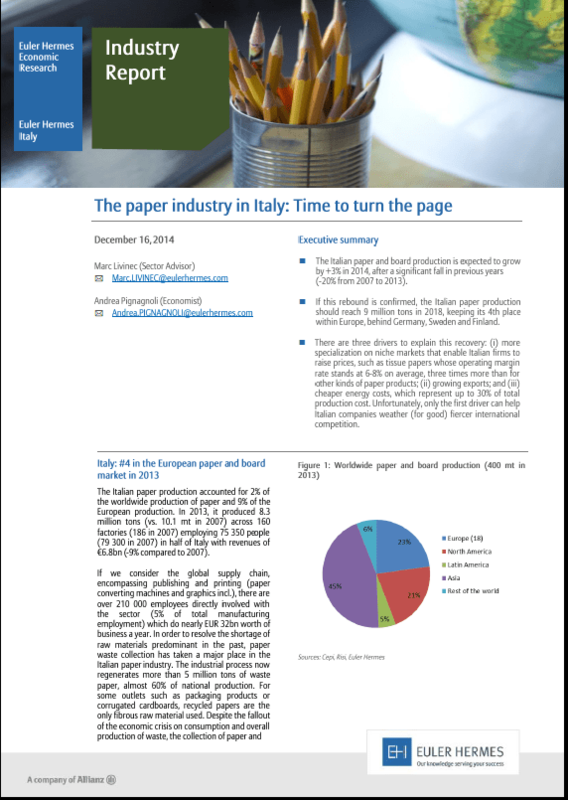 The Italian paper and board production is expected to grow by 3% in 2014, after a significant fall in previous years. If this rebound is confirmed, the Italian paper production should reach 9 millions tons in 2018, keeping its 4th place within Europe. Discover in this document which are the three drivers explaining this recovery.